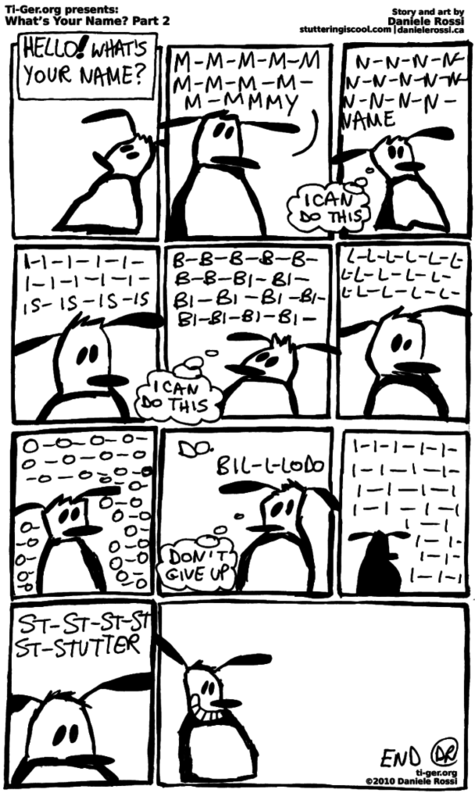 We meet an early design version of Franky Banky’s friend, Bilodo in this comic originally published at ti-ger.org, the sister site to Stuttering is Cool. It’s funny how cartoon character design evolves over time. It happened to Bugs Bunny, the Peanuts gang, Mickey Mouse, and even Calvin and Hobbes. I guess the more you draw something, the more refined is becomes as your skill gets sharpened. You’ll notice that Franky Banky’s fur is different in my book as compared to the comics I draw of him today! I aimed to show in this comic what goes on in our minds as we’re in the midst of an awkward and embarrassing stuttering situation. 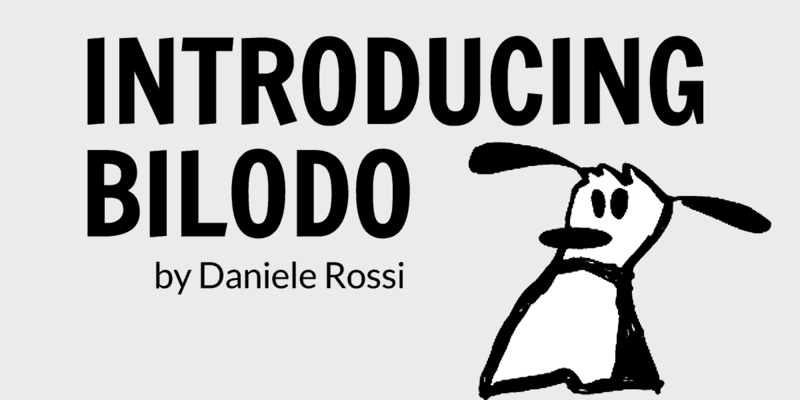 Though Bilodo has a more positive perspective and valiantly pushes through. Previous Post What’s Your Name?